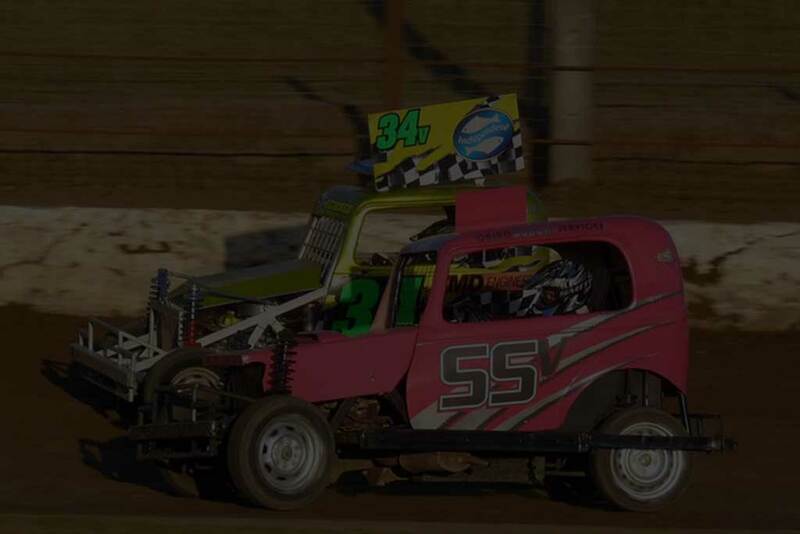 Race one saw the Dirty Rottens Inc go down to the Ferndene Rebels and saw the retirement of Alistair Thompson and Wayne Glidden from the Dirty Rottens with engine problems it also had Bevan Johnston and Adrian Maher taking very heavy hits from the Volvo of Kurt Vickery. When the Rottens went to congratulate the Rebels on the win, it was noticed that the Volvo was reinforced illegally which resulted in a disqualification for the team and disqualification from the meeting for Vickery. Team Kaos Wellington was beaten by Dads Army from Stratford in a torrid race to the flag. The Rebels were next up to race Kaos with Vickery (In the spare car) sent to the infield before the race started do to the earlier incident. This gave Kaos their first win. Dads Army only had two cars to race the scrappers however superb driving skill seen Dads Army take the win easily and qualify for the final. The Scrappers were up against the Rottens next and needed a win to force all teams except Dads Army into the repercharge. The Rottens went hard against the scrappers but the extra experience paid off for the Rottens who qualified for the 15 lap final. The Scappers and Rebels had a two car runoff to see the Rebels win and go thru to the 3rd and 4th place race which had plenty of action and had the Rebels take 3rd place overall. Dads army managed to start with 5 cars and the Rottens also had 5 cars so it was set and when the flag dropped Wayne Pointon was off to an early lead only to be taken into the concrete wall heavily while being chased by three cars. A short time later the tables changed with only Read left for Dads Army and three Rottens (Pointon, Bevan Johnston and Clint Lyford) a quick change and Johnston clipped Reads car which had collided with his Brother's (Steven Read) car. This gave the Dirty Rottens Inc there 3rd NZ Championship an the first win ever at Wanganui. In the All in Demolition Derby Kristel Johnston tied for firet place with Darrell Wanders from Melbourne. The last 5 Cars running were two Dirty Rottens and three Kaos cars. Bevan Johnston, Ben Johnston, Alistair Thompson, Wayne Pointon, Adrian Maher, Wayne Glidden and Clint Lyford.